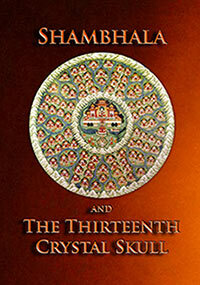 Shambhala and the 13th Crystal Skull – Produced by 144 Productions, in association with the BUPC and page 10 publishers. This documentary film takes the viewer on a journey through history and prophecy in search of solutions to the problems facing a war-weary world. Investigate the Buddhist and Hindu prophecies for the appearance of the hidden kingdom of Shambhala in the West, a place foretold as the new spiritual center of the planet. What is the reality of the Mayan and Aztec prophecies? What really happened in 2012, and where is 13th Crystal Skull? These questions and more are explored in this compelling 90-minute film, presented by Baha’i scholar, Victor Woods, as the prophecies of East and West come together to form a great mosaic “road map”, aiding on the journey of the spiritual seeker. Baha’u’llah, Founder of the Baha’i Faith, proclaimed these words to the people of the world while Himself a prisoner in exile, calling humanity to peaceful consultation in the face of increasing global catastrophe and calamity. In 1912, Baha’u’llah’s son, ‘Abdu’l-Baha, travelled from east to west, making his historic journey throughout the United States, bringing with him the Baha’i Firesides – proofs for the Baha’i Faith. These Firesides, perfected by the Establisher of the Baha’i Faith, Dr. Leland Jensen, and presented by the Guardian of the Baha’i Faith, Neal Chase, are now available online for the first time for every eye to see at bahaifireside.org. This announcement also comes at the 50th Jubilee Anniversary of the mission of the Establisher in America, where Baha’u’llah’s Universal House of Justice (uhj.net) is now established in the Rocky Mountains, distinguished by the living descendant of King David seated as its president. The Duluth Baha’i community welcomes all for Baha’i Night on the 2nd Sunday of each month at 6pm, at LSICC – 1414 E. 9th Street. Call the Baha’i Center at 218-590-8670, or visit e38.e40.myftpupload.com for more information. This is the Day in which God’s most excellent favors have been poured out upon men, the Day in which His most mighty grace hath been infused into all created things. It is incumbent upon all the peoples of the world to reconcile their differences, and, with perfect unity and peace, abide beneath the shadow of the Tree of His care and loving-kindness. It behoveth them to cleave to whatsoever will, in this Day, be conducive to the exaltation of their stations, and to the promotion of their best interests. Happy are those whom the all-glorious Pen was moved to remember, and blessed are those men whose names, by virtue of Our inscrutable decree, We have preferred to conceal. Beseech ye the one true God to grant that all men may be graciously assisted to fulfil that which is acceptable in Our sight. Soon will the present-day order be rolled up, and a new one spread out in its stead. Verily, thy Lord speaketh the truth, and is the Knower of things unseen. Praise be to God! This is a radiant gathering. The faces are brilliant with the light of God. The hearts are attracted to the Kingdom of Baha. I beg of God that day by day your faces may become brighter; day by day you may draw nearer to God; day by day you may take a greater portion from the outpourings of the Holy Spirit so that you may become encircled by the bounties of heaven. The spiritual world is like unto the phenomenal world. They are the exact counterpart of each other. Whatever objects appear in this world of existence are the outer pictures of the world of heaven. When we look upon the phenomenal world, we perceive that it is divided into four seasons; one is the season of spring, another the season of summer, another autumn and then these three seasons are followed by winter. When the season of spring appears in the arena of existence, the whole world is rejuvenated and finds new life. The soul-refreshing breeze is wafted from every direction; the soul-quickening bounty is everywhere; the cloud of mercy showers down its rain, and the sun shines upon everything. Day by day we perceive that the signs of vegetation are all about us. Wonderful flowers, hyacinths and roses perfume the nostrils. The trees are full of leaves and blossoms, and the blossoms are followed by fruit. The spring and summer are followed by autumn and winter. The flowers wither and are no more; the leaves turn gray and life has gone. Then comes another springtime; the former springtime is renewed; again a new life stirs within everything. The appearances of the Manifestations of God are the divine springtime. When Christ appeared in this world, it was like the vernal bounty; the outpouring descended; the effulgences of the Merciful encircled all things; the human world found new life. Even the physical world partook of it. The divine perfections were upraised; souls were trained in the school of heaven so that all grades of human existence received life and light. Then by degrees these fragrances of heaven were discontinued; the season of winter came upon the world; the beauties of spring vanished; the excellences and perfections passed away; the lights and quickening were no longer evident; the phenomenal world and its materialities conquered everything; the spiritualities of life were lost; the world of existence became life unto a lifeless body; there was no trace of the spring left. Bahá’u’lláh has come into this world. He has renewed that springtime. The same fragrances are wafting; the same heat of the Sun is giving life; the same cloud is pouring its rain, and with our own eyes we see that the world of existence is advancing and progressing. The human world has found new life.I hope that each and all of you may become like unto verdant and green trees so that through the breezes of the divine spring, the outpouring of heaven, the heat of the Sun of Truth, you may become eternally refreshed; that you may bear blossoms and become fruitful; that you may not be as fruitless trees. Fruitless trees do not bring forth fruits or flowers. I hope that all of you may become friends of the paradise of Abha, appearing with the utmost freshness and spiritual beauty. I pray in your behalf and beg of God confirmation and assistance. The wisdom of all these tribulations that poured successively upon thee was this, that thou shouldst be prepared and made ready for this Cause, that thou mightest expect the attainment to the greatest guidance, for all these trials were but a preparation for thine entrance into the Most Exalted Paradise and the beginning of obtaining this most great benefit. Unless the season of winter appear, thunder roll, lightning flash, snow and rain fall, hail and frost descend and the intensity of cold execute its command, the season of the soul-refreshing spring would not come, the fragrant breeze would not waft, the moderation of temperature would not be realized, the roses and hyacinths would not grow, the surface of the earth would not become a delectable paradise, the trees would not bloom, neither would they bring forth fruits and leaves. That fierce inclemency of cold, snow, frost and tempest was the beginning of the manifestation of these roses, hyacinths, buds, blossoms and fruits. Therefore, be not distressed on account of those adversities which fell upon thee; nay, rather, arise and render thanks that the ultimate goal is the attainment to this eminent bounty and the enjoyment of this highest gift of the Almighty God. Consequently gird up the loins of thine endeavor, that thereby some results might be produced, some fruits gathered, the lamp of everlasting life ignited and the gifts of the Lord of the Kingdom be manifest, so that thou mayest accomplish again, with great yearning and exaltation, the worship of the Lord of Hosts. In this compelling sixty minute presentation, Baha’i scholar and historian Victor Woods refutes the common notion that Mayan prophecy points to the end of the world. He shows that rather, it points to the biblical “close of the age” and the start of a new era for the renewal of creation. An exciting look into how this is not some dark, doomsday time we live in, but instead a time of great hope and unprecedented progress. This reality crosses all cultures and can be traced to all the sacred teachings of the Bible, the Hopis, Mayans, Aztecs, and of eastern Tibet. All refer to the same cycle of renewal. All the different prophecies say the same thing, and all originate from the one invisible Creator. *Please enjoy a FREE mp3 download of the song “Shambhala” by Duluth musician Adam Sippola, featured in the DVD, “2012: Shambhala and the Thirteenth Crystal Skull“. Know thou that every created thing is a sign of the revelation of God. Each, according to its capacity, is, and will ever remain, a token of the Almighty. Inasmuch as He, the sovereign Lord of all, hath willed to reveal His sovereignty in the kingdom of names and attributes, each and every created thing hath, through the act of the Divine Will, been made a sign of His glory. So pervasive and general is this revelation that nothing whatsoever in the whole universe can be discovered that doth not reflect His splendor. Under such conditions every consideration of proximity and remoteness is obliterated…. Were the Hand of Divine power to divest of this high endowment all created things, the entire universe would become desolate and void. Meditate on what the poet hath written: “Wonder not, if my Best-Beloved be closer to me than mine own self; wonder at this, that I, despite such nearness, should still be so far from Him.”… Considering what God hath revealed, that “We are closer to man than his life-vein,” the poet hath, in allusion to this verse, stated that, though the revelation of my Best-Beloved hath so permeated my being that He is closer to me than my life-vein, yet, notwithstanding my certitude of its reality and my recognition of my station, I am still so far removed from Him. By this he meaneth that his heart, which is the seat of the All-Merciful and the throne wherein abideth the splendor of His revelation, is forgetful of its Creator, hath strayed from His path, hath shut out itself from His glory, and is stained with the defilement of earthly desires. It should be remembered in this connection that the one true God is in Himself exalted beyond and above proximity and remoteness. His reality transcendeth such limitations. His relationship to His creatures knoweth no degrees. That some are near and others are far is to be ascribed to the manifestations themselves. That the heart is the throne, in which the Revelation of God the All-Merciful is centered, is attested by the holy utterances which We have formerly revealed. Among them is this saying: “Earth and heaven cannot contain Me; what can alone contain Me is the heart of him that believeth in Me, and is faithful to My Cause.” How often hath the human heart, which is the recipient of the light of God and the seat of the revelation of the All-Merciful, erred from Him Who is the Source of that light and the Well Spring of that revelation. It is the waywardness of the heart that removeth it far from God, and condemneth it to remoteness from Him. Those hearts, however, that are aware of His Presence, are close to Him, and are to be regarded as having drawn nigh unto His throne. Consider, moreover, how frequently doth man become forgetful of his own self, whilst God remaineth, through His all-encompassing knowledge, aware of His creature, and continueth to shed upon him the manifest radiance of His glory. It is evident, therefore, that, in such circumstances, He is closer to him than his own self. He will, indeed, so remain for ever, for, whereas the one true God knoweth all things, perceiveth all things, and comprehendeth all things, mortal man is prone to err, and is ignorant of the mysteries that lie enfolded within him…. Let no one imagine that by Our assertion that all created things are the signs of the revelation of God is meant that — God forbid — all men, be they good or evil, pious or infidel, are equal in the sight of God. Nor doth it imply that the Divine Being — magnified be His name and exalted be His glory — is, under any circumstances, comparable unto men, or can, in any way, be associated with His creatures. Such an error hath been committed by certain foolish ones who, after having ascended into the heavens of their idle fancies, have interpreted Divine Unity to mean that all created things are the signs of God, and that, consequently, there is no distinction whatsoever between them. Some have even outstripped them by maintaining that these signs are peers and partners of God Himself. Gracious God! He, verily, is one and indivisible; one in His essence, one in His attributes. Everything besides Him is as nothing when brought face to face with the resplendent revelation of but one of His names, with no more than the faintest intimation of His glory — how much less when confronted with His own Self! By the righteousness of My name, the All-Merciful! The Pen of the Most High trembleth with a great trembling and is sore shaken at the revelation of these words. How puny and insignificant is the evanescent drop when compared with the waves and billows of God’s limitless and everlasting Ocean, and how utterly contemptible must every contingent and perishable thing appear when brought face to face with the uncreated, the unspeakable glory of the Eternal! We implore pardon of God, the All-Powerful, for them that entertain such beliefs, and give utterance to such words. Say: O people! How can a fleeting fancy compare with the Self-Subsisting, and how can the Creator be likened unto His creatures, who are but as the script of His Pen? Nay, His script excelleth all things, and is sanctified from, and immeasurably exalted above, all creatures. Furthermore, consider the signs of the revelation of God in their relation one to another. Can the sun, which is but one of these signs, be regarded as equal in rank to darkness? The one true God beareth Me witness! No man can believe it, unless he be of those whose hearts are straitened, and whose eyes have become deluded. Say: Consider your own selves. Your nails and eyes are both parts of your bodies. Do ye regard them of equal rank and value? If ye say, yea; say, then: ye have indeed charged with imposture, the Lord, my God, the All-Glorious, inasmuch as ye pare the one, and cherish the other as dearly as your own life. To transgress the limits of one’s own rank and station is, in no wise, permissible. The integrity of every rank and station must needs be preserved. By this is meant that every created thing should be viewed in the light of the station it hath been ordained to occupy. It should be borne in mind, however, that when the light of My Name, the All-Pervading, hath shed its radiance upon the universe, each and every created thing hath, according to a fixed decree, been endowed with the capacity to exercise a particular influence, and been made to possess a distinct virtue. Consider the effect of poison. Deadly though it is, it possesseth the power of exerting, under certain conditions, a beneficial influence. The potency infused into all created things is the direct consequence of the revelation of this most blessed Name. Glorified be He, Who is the Creator of all names and attributes! Cast into the fire the tree that hath rot and dried up, and abide under the shadow of the green and goodly Tree, and partake of the fruit thereof. The people living in the days of the Manifestations of God have, for the most part, uttered such unseemly sayings. These have been set down circumstantially in the revealed Books and Holy Scriptures. He is really a believer in the Unity of God who recognizeth in each and every created thing the sign of the revelation of Him Who is the Eternal Truth, and not he who maintaineth that the creature is indistinguishable from the Creator. Consider, for instance, the revelation of the light of the Name of God, the Educator. Behold, how in all things the evidences of such a revelation are manifest, how the betterment of all beings dependeth upon it. This education is of two kinds. The one is universal. Its influence pervadeth all things and sustaineth them. It is for this reason that God hath assumed the title, “Lord of all worlds.” The other is confined to them that have come under the shadow of this Name, and sought the shelter of this most mighty Revelation. They, however, that have failed to seek this shelter, have deprived themselves of this privilege, and are powerless to benefit from the spiritual sustenance that hath been sent down through the heavenly grace of this Most Great Name. How great the gulf fixed between the one and the other! If the veil were lifted, and the full glory of the station of those that have turned wholly towards God, and have, in their love for Him, renounced the world, were made manifest, the entire creation would be dumbfounded. The true believer in the Unity of God will, as it hath already been explained, recognize, in the believer and the unbeliever, the evidences of the revelation of both of these Names. Were this revelation to be withdrawn, all would perish. Consider, in like manner, the revelation of the light of the Name of God, the Incomparable. Behold, how this light hath enveloped the entire creation, how each and every thing manifesteth the sign of His Unity, testifieth to the reality of Him Who is the Eternal Truth, proclaimeth His sovereignty, His oneness, and His power. This revelation is a token of His mercy that hath encompassed all created things. They that have joined partners with Him, however, are unaware of such a revelation, and are deprived of the Faith through which they can draw near unto, and be united with, Him. Witness how the divers peoples and kindreds of the earth bear witness to His unity, and recognize His oneness. But for the sign of the Unity of God within them, they would have never acknowledged the truth of the words, “There is none other God but God.” And yet, consider how grievously they have erred, and strayed from His path. Inasmuch as they have failed to recognize the Sovereign Revealer, they have ceased to be reckoned among those who may be regarded as true believers in the Unity of God. God grant that, with a penetrating vision, thou mayest perceive, in all things, the sign of the revelation of Him Who is the Ancient King, and recognize how exalted and sanctified from the whole creation is that most holy and sacred Being. This, in truth, is the very root and essence of belief in the unity and singleness of God. “God was alone; there was none else besides Him.” He, now, is what He hath ever been. There is none other God but Him, the One, the Incomparable, the Almighty, the Most Exalted, the Most Great.